I had another problem that I have never had before today. 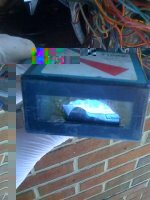 One of my relays went out in my meter boxes! 110 goes in and nothing goes out. I actually had an extra relay, so that was good. Someone broke into one of my meter boxes. This time they tore up the Parker Slugbuster 1 and a cam lock. Time again for a switch replacement. I always hate replacing switches because you can never get the switch off and the switch is always stuck. This time was no exception but nothing a hammer could not fix. The only problem was all the wires fell off of the switch in the meter box. Not good. So I got angry and gave up. The Electrician cut my power off today and installed a new meter box and 2 new panels. We also mounted the Water Wizard – Electrical control center on the wall. If all goes according to plan I should have power late tomorrow after the inspection. One of my meter box’s rotary switches quit turning today. Now I need to find an extra rotary switch somewhere, maybe Kleen-Rite. 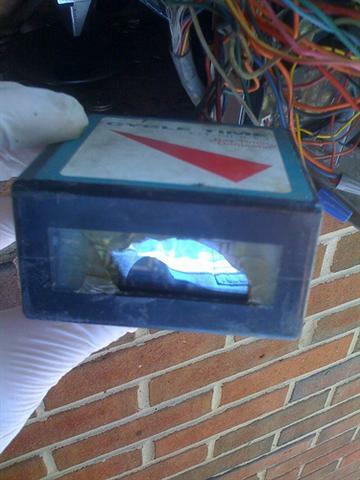 Someone tried to beat the quarter out of the meter box…. but it did not work! 🙂 What did happen was the Dixmor timer harness fell out. I had multiple problems with my meter box today. The timer plug came out and the meter box had no power. What was weird was the IDX coin acceptor kept stealing money: usually the coin acceptor does not accept coins when it does not have power. I had a small timer problem yesterday. Someone seemed to fix the timer display for me. The timer actually still works but I still need to replace it. 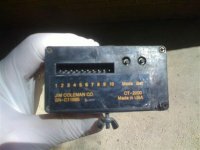 Cycle time CT-2000 bay timer. My Dixmor timer seems to need to be plugged it for it to work. Who would have guessed? Well it finally happened. 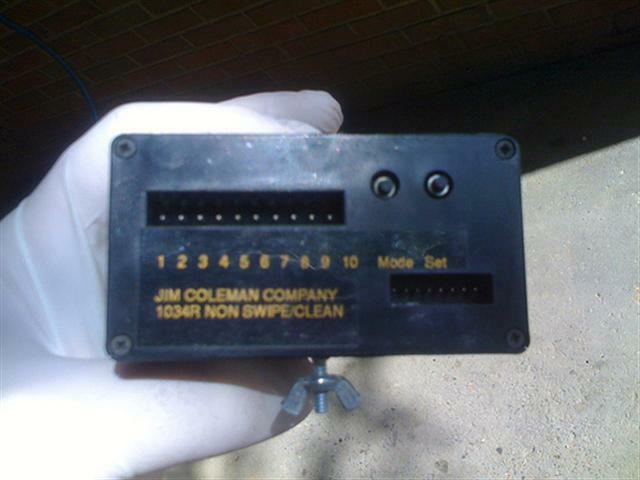 Someone put my Jim Coleman CT-2000 meter box timer out of its misery. I also figured out today the CT-2000 timer can be swapped out with the Jim Coleman 1034R.